Do you know what is the most important thing you can do to reduce your risk of cancer (besides not smoking)? It is true. 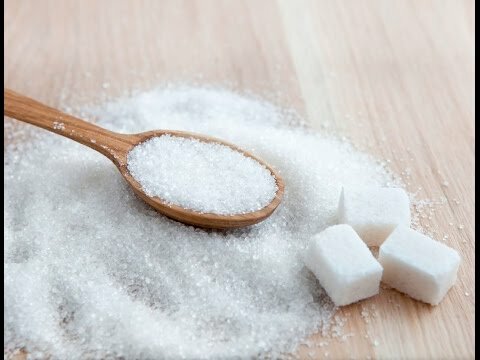 The authors of the Third Expert Report: Diet, Nutrition, Physical Activity, and Cancer: A Global Perspective, describe the evidence linking body fatness to cancer as “overwhelming”, noting there is strong evidence to suggest that excess body fat is a cause of 12 cancers. While the strong link between weight and cancer may be new information, the overall message to achieve a healthy weight is not new, and data suggest many Americans are trying to take action towards maintaining ideal body weight. According to a 2018 report from the Centers for Disease Control and Prevention, almost half (49.1 percent) the Americans made an effort to lose weight within the last year. Sixty-three percent of those surveyed included exercise as a weight loss strategy. But does exercise essentially lead to weight loss? According to the simple principle of energy balance, the answer should be a clear “yes”. If you expend more calories through physical activity than you consume from food you should lose weight. Unfortunately, that equation is not as simple. Multiple exercise intervention studies have reported disappointing findings; people assigned to exercise programs have not lost the amount of weight expected. These findings have left people feeling discouraged and questioning whether exercise has any role at all in weight loss. Scientists are working hard to better understand the true role of exercise in weight loss. It seems that a major reason for the gap between weight loss expectations and reality is due to compensation. Both physiological (e.g., metabolism) and behavioral (e.g., energy intake) compensatory factors are being studied. While there is still a lot to understand about how the individual compensatory factors work, a recent study suggests it is possible to overcome them (i.e., lose weight with exercise) with one caveat: you have to do enough exercise. Researchers recruited men and women with overweight and obesity to participate in the 12-week trial. Participants were randomly assigned to an exercise group that expended either 1500 or 3000 calories per week (300 or 600 calories per day), five days per week. Interestingly, people in both groups compensated for this additional calorie deficit by about the same amount (35%), but only those in the 3000 calories group lost a significant amount of weight and body fat. That’s because they still maintained a 2000 calorie per week deficit despite the compensation, compared to only 550 per week in the other group. Exercise is good for you. 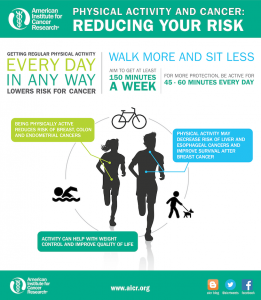 AICR has made “Be physically active” its own cancer prevention recommendation because there is data to suggest that people who are active have lower risk of cancer, independent of weight loss. You don’t have to be perfect to start. Don’t be overwhelmed by the research. It may be the case that exercising to expend 600 calories per day (~6-mile walk) is unattainable today. That’s okay. Focus on what you can do. Start where you are and use the guidelines to help you move toward future goals. Enjoy yourself. The goal is to make activity a part of your lifestyle. That will only happen if you like what you are doing. Don’t focus on the calories, focus on the fun. Keep trying new activities until you find something that you truly enjoy. That’s the true key to success.